When to apply for work permits for foreigners? According to Vietnam’s regulations, in some cases, foreigners wishing to work in Vietnam will not need to apply for work permits. They are, however, required to apply for the certification of exemption from work permit. Capital-contributing members or owners of limited liability companies. Members of the Board of Directors of joint-stock companies. Heads of representative offices and directors of projects of international organizations or non-governmental organizations in Vietnam. Those who stay in Vietnam for under 3 months to offer services for sale. Those who stay in Vietnam for under 3 months to deal with complicated technical or technological problems that adversely impact or are at risk of exerting adverse impacts on production and business activities and these problems cannot be handled by Vietnamese and foreign experts who are currently in Vietnam. Foreign lawyers possessing a professional practice license in Vietnam in accordance with the Law on Lawyers. Other cases as stipulated by the Government. The regulation on exemptions from work permit shows flexibility in the management of labor relations of Vietnamese law. However, after the 2012 Labor Code took effect, Decree No. 34 has been annulled. Instead, Decree No. 102 (2013) replacing Decree No. 34 added administrative procedures for the application and issuance of work permits to foreign citizens that work in Vietnam. Decree No. 102 states that employers that wish to hire foreign employees must apply for a written approval by the President of the provincial People’s Committee before proceeding with the application for work permits. 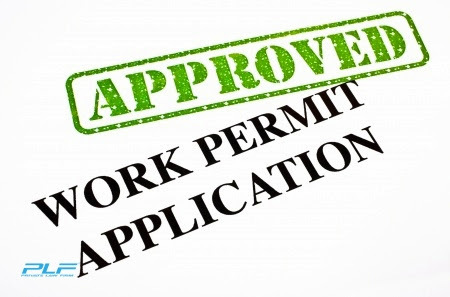 Meanwhile, those who do not need to apply for a work permit still have to follow procedures to apply for the certification of exemption from work permit. Therefore, since November 1st, 2013, which is when Decree No. 102 took effect, foreign workers in any cases wishing to work in Vietnam must ask for permission from employment authorities.